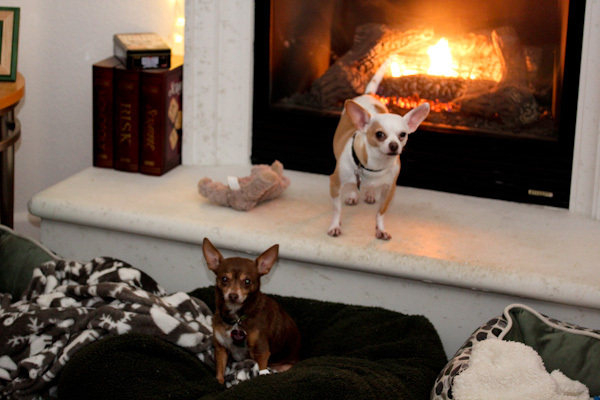 I’m still getting the stink eye from the chihuahuas for taking them to the vet Monday for shots and going to work today and not playing with them enough. And I feel guilty, they just don’t understand that I have to work to feed them! 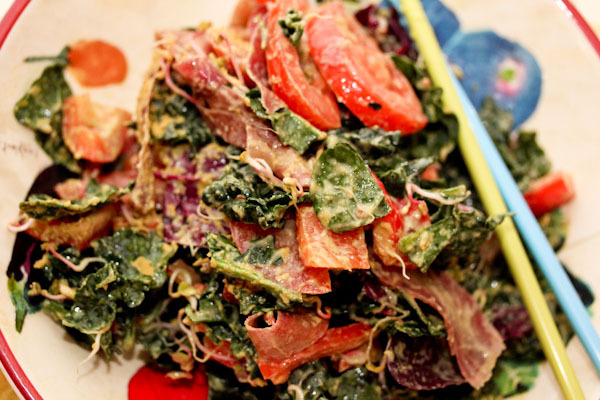 I fed myself a beautiful kale salad with a creamy and simple avocado ginger dressing packing a tangy flavor and savory depth. 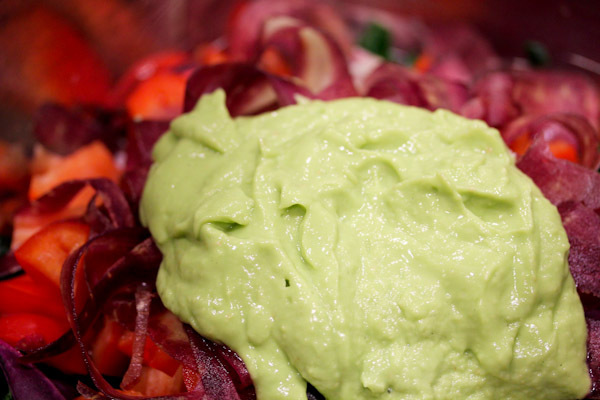 This is one of many variations of a ginger dressing that uses avocado for creaminess instead of oil or cream and NuNaturals NuStevia Simple Syrup for a slight sweetness instead of sugar. 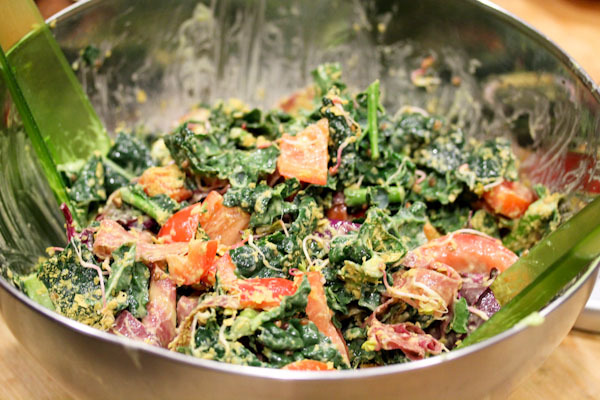 The texture is amazingly thick and creamy, almost like guacamole, and was a little work to coat a salad with. But worth it! 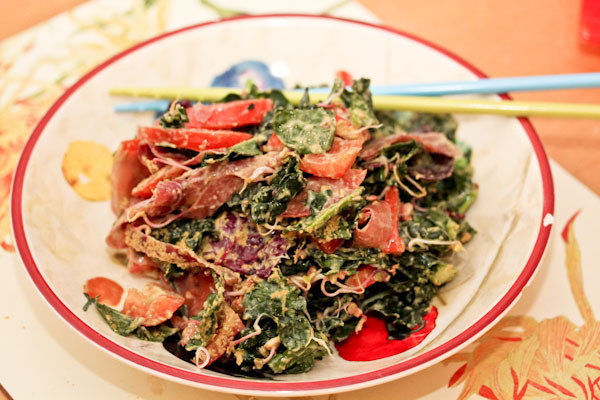 This salad has kale, red spinach, radish sprouts, tomato, red bell pepper, and purple carrot – classy! And the dressing added a great silky texture to the veggies with a savory tang and bright ginger zing. 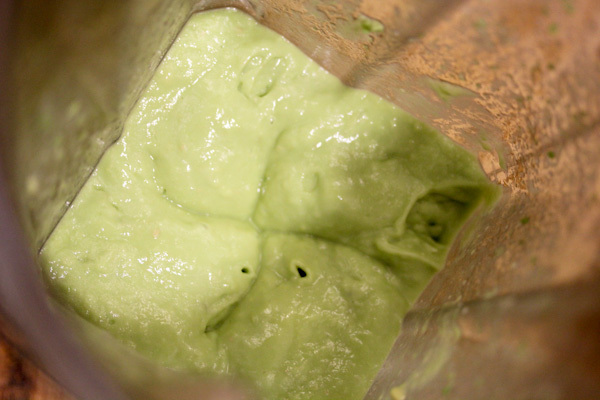 I just made an avocado dressing this week, so creamy and delicious. I love that you used ginger and miso in this, I’ve got to try this recipe!